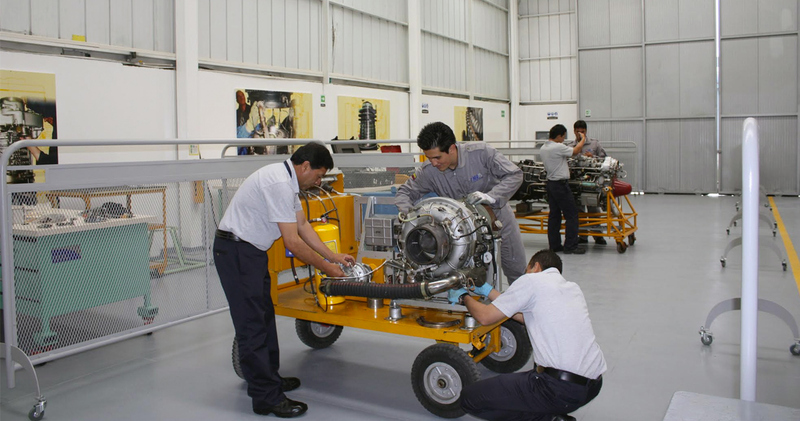 Created to provide a solution to aircraft powered by engines Russian manufacturing TV3-117 Series, It develop its engine repair plant in Bogotá, Colombia, owner of the only TV3-117 Series engine Test bench in the American continent, approved and certified, endowed with the most sophisticated high-tech equipment. The technical staff is trained by the training centers, specialized and duly authorized within the framework of technology transfer with a continuous training plan, academic and practical by Russian specialists. The workshop infrastructure was designed with the most modern construction standards, complying with the national requirements of earthquake resistance, the demands of the engine manufacturers, the main infrastructure and the auxiliary base, They are completely designed with fire resistant materials, its floors are in concrete of high resistance with reinforcements of iron and steel. The structures of the Offices and Work Areas are galvanized iron frames and brick walls.